Results of the EFCCA led IMPACT survey have been published in the latest issue of the Journal Crohn´s and Colitis. In the article entitled "IBD and health-related quality of life- Discovering the true impact" some of the main findings from the IMPACT survey have been highlighted. The results of this survey can be used in defining strategic priorities and planning projects and awareness raising activities. The unmet needs of IBD patients can be better demonstrated and communicated to the public, health service managers and politicians. 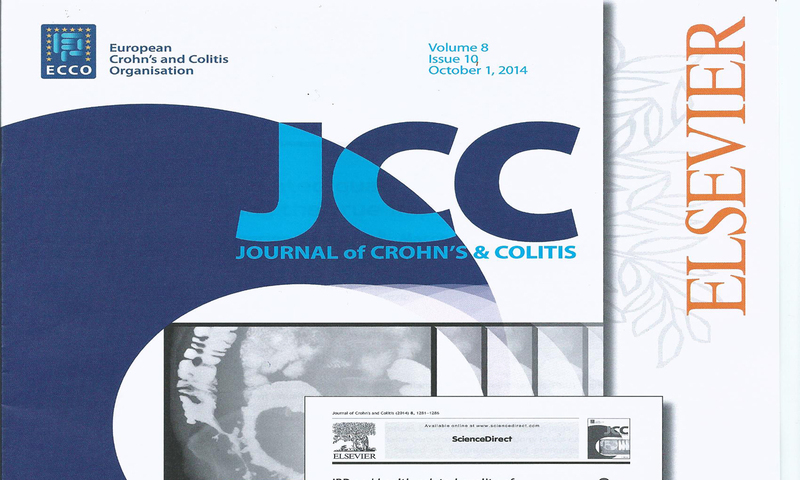 The Journal of Crohn's and Colitis is the official journal of the European Crohn's and Colitis Organisation (ECCO), and is concerned with the dissemination of knowledge on clinical, basic science and innovative methods related to inflammatory bowel diseases. The journal publishes original articles, review papers, editorials, leading articles, view points, case reports, innovative methods and letters to the editor. The above mentioned article was written by Sanna Lönnfors in collaboration with Severine Vermeire, Marco Greco, Daan Hommes, Chayim Bell and Luisa Avedano.